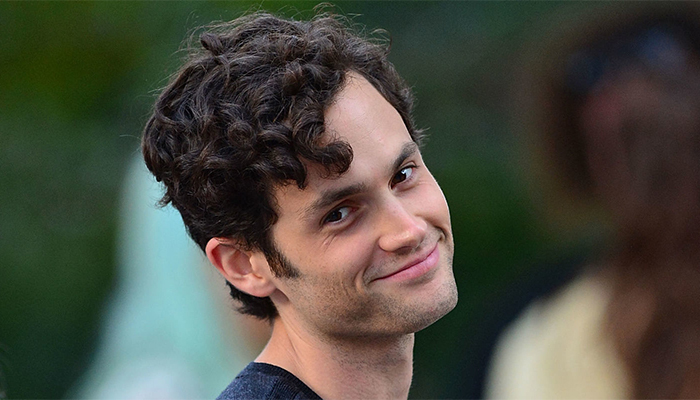 Born in Baltimore, Maryland, Penn Badgley is an American actor who is most well known for his portrayal of Dan Humprey in the teen drama, Gossip Girl. As a child, he was a member of the Seattle Children’s Theatre and also did various voice-overs for local children’s radio stations. Later wanting to focus on an acting career, Badgley relocated to Hollywood at the age of eleven. Once settled in the new city, he also embarked on a brief singing careerーhe recorded and released a single in 1998. The following year, he landed a professional role for the first time, voicing a character in the popular video game, Mario Golf (1999). From there, the aspiring artist subsequently made his television debut in the romance comedy, Will & Grace (1999). Soon afterward, he played a couple of minor roles in Bull (2000), and Daddio (2000) before landing a recurring role in the series, The Young and the Restless later that same year. Eventually in 2002, Badgley found himself playing another main character in the comedy drama, Do Over. Continuing to climb his way up the ladder, he went on to appear in The Twilight Zone (2003), Debating Robert Lee (2004), The Mountain (2004), and The Bedford Diaries (2006)ーthe last two having offered him starring roles. Shortly afterward, the actor received a huge break when he was cast as Dan Humprey in the teen drama, Gossip Girl in 2007. Immensely popular, the award-winning series brought Badgley straight into the limelight. By the time the show was over, he had netted six Teen Choice Award Nominations for “Choice TV Actor in a Drama”. Following his time on Gossip Girl, he appeared as a minor character for a two-episode arc in the drama series, The Slap (2005). Throughout his career, Badgleyーwho is only thirty years old as of January 2017ーhas amassed over thirty credits to his acting resume. Outside of his work in television, he has also appeared in a variety of films. In 2001, he made his motion picture debut in the independent movie, The Fluffer where he played a younger version of the main protagonist. Badgley subsequently appeared in Debating Robert Lee (2003) before co-starring in the romantic teen comedy, John Tucker Must Die in 2006. After another smallish role in Drive-Thru (2007), he was a part of the main cast in the sports film, Forever Strong (2008). Two years later, he received another big break when he was cast as a male lead in the Golden Globe Award-nominated movie, Easy A (2010), where he played opposite of Emma Stone. Some of his later film credits include Greetings from Tim Buckley (2012), Parts per Billion (2014), The Paper Store (2016), and Adam Green’s Aladdin (2016). What has the actorーwho was made popular by the Gossip Girl seriesーbeen up to recently? Has he picked up any new roles these past few months? Can we expect to see him in any new movies this upcoming year? 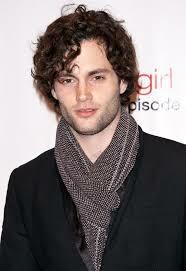 What happened to Penn Badgley? Where is he now in 2018? Born on November 1, 1986 in Baltimore, Maryland, Penn Dayton Badgley is the son of Duff Badgley and Lynne Murphy, the latter of whom worked as a carpenter. When he was twelve years old, his parents divorced; as a young boy, his time was divided between living with his mother and his father. Growing up, Badgley went to Woolridge Elementary School in Virginia for a few years before transferring to the college preparatory St. Christopher’s School. An avid athlete, Badgley loved playing soccer, a sport which his father happened to coach. Later developing an interest in drama and theatre, he became involved with the Seattle Children’s Theatre. Around that time, he also lent his voice to several local children’s radio stations. Eventually wanting to pursue acting as a career, he relocated to the country’s entertainment capitalーHollywood, Californiaーwhen he was eleven years old. After settling down in the new city, he also embarked on a brief singing career, having produced a single in 1998. Two years after his move, Badgley landed his first professional role, where he provided the voice for a character in the popular game, Mario Golf (1999). Soon afterward, the aspiring actor made his television debut in the comedy series, Will & Grace (1999). With the arrival of the new millennium, the teen gradually began securing more rolesーin early 2000, he appeared in Bull (2000), and Daddio (2000), prior to being cast as a recurring character in the romance drama, The Young and the Restlessーa role which he held for a little over a year. In 2001, Badgley made his movie debut in the romance comedy, The Fluffer, playing the younger version of one of the film protagonists. From there, he guest starred in a few television series including The Nightmare Room (2002), The Brothers Garcia (2002), and What I Like About You (20002) before landing his first ever starring role in The WB sitcom, Do Over (2002). The brainchild of Rick Wiener and Kenny Schwartz, Do Over centered around a man who through a freak accident, gets a second chance to relive his teen years after being catapulted back to the early 80’s. The star of the show, Badgley played none other than the time-travelling man in questionーJoel Larsen. Depicted as a single, depressed paper salesman who has missed several opportunities throughout his life, he finds himself sent back to 1981 after being shocked with a set of defibrillation paddles. Complete with his adult memories (and wisdom), he sets off to put his life on track by correcting the mistakes that he made earlier in life. Besides Badgley, Do Over also starred Angela Goethals, Josh Wise, Tom Everett Scott, Natasha Melnick, Gigi Rice, and Michael Milhoan. Originally released on The WB on September 19, 2002, Do Over unfortunately suffered from low ratings, possibly due to the fact that it was airing at the same time as the popular shows Scrubs and Survivor. Although it had managed to garner a devoted fan base, it was eventually cancelled by the network after only eleven episodesーeven though fifteen had been produced. Despite this, it remains noteworthy in Badgley’s filmography as it was his first starring role on television. A couple of minor roles later, Badgley caught another break when he was cast as one of the main protagonists in yet another The WB series, The Mountain (2004). 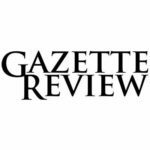 Created by Grant Scharbo, Gina Matthews and David Barrett, it revolved around a young man named Will Carver who returns to the family businessーa popular ski resort, following the death of his grandfather. Despite his best efforts, familial conflict over the resort ensues throughout the series. While actor Anson Mount played the part of Carver, Badgley was given the role of Sam Tunney; other main cast members include Oliver Hudson, Tara Thompspon, Alana de la Garza, Elizabeth Bogush, and Tommy Dewey. Distributed by Warner Bros., The Mountain made its way onto TV screens on September 22, 2004. While not an instant smash hit, it received many positive reviews from viewers who praised it for its plot and dynamic characters. Due to low viewership ratings however, the show suffered the same fate as Do Over; it was cancelled after only thirteen episodes. The last episode entitled, Great Expectations aired on January 2, 2005. Returning for another The WB series, Badgley played the principal character in The Bedford Diaries (2006) just two years later. Created by Julie Martin and Tom Fontana, its storyline depicted the college life of six charactersーeach with their own distinctive experiences and backgroundーall of whom are brought together in a sexuality seminar held on campus. In the series, the actor took on the role of Owen Gregoryーa pre-mad major who plans on taking advantage of everything that the college has to offer; he is also the younger brother of Sarah Gregory (played by Tiffany Dupont), the President of the Student Government. Some of the other main characters include Professor Jake Macklin (played by Matthew Modine), Zoe Lopez (played by Victoria Cartagena), and Natalie Dykstra (played by Corri English). 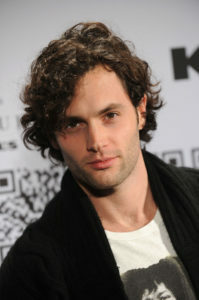 In the fall of 2007, Badgley’s career took a drastic turn when he was cast as one of the main characters in the teen drama, Gossip Girls. Based on a series of novels by author Cecily von Ziegesar, it centered around a group of privileged teens living in the Upper Easy Side of New York, who much to their dismay, have their actions observed and recorded by a ruthless blogger. One of the male leads, Badgley portrayed the role of Dan Humpreyーa scholarship student who finds himself to be an “outsider” in St. Jude’s Preparatory School amongst his peers. An avid poet, he is often found writing poems while sipping copious amounts of dark coffee. Aside from Badgley, the cast of Gossip Girl also included Blake Lively, Leighton Meester, Taylor Momsen, Chace Crawford, Matthew Settle, and Kelly Rutherford. Originally debuted on The CW on September 19, 2007, Gossip Girl drew in 3.5 million viewers during its series premiere; on average, it held an average of 2.35 million audience members during its first season. Although its ratings saw a decline in the subsequent seasons, it successfully attracted a sizeable fan base throughout its five-year run. Badgley’s best remembered portrayal on television to date, it garnered him much widespread attention as an actor in the late 2000’s. On top of the popularity that it brought him, the show also earned him six Teen Choice Award nominations for the category of “Choice TV Actor in a Drama”. Over the years, the Baltimore-born actor has appeared in several films. Considering all that he’s been involved with, his role in the 2010 teen comedy, Easy A has probably brought him the most attention. Playing opposite of Emma Stone, Badgley played the character of Toddーthe female protagonist’s old love-interest, who later falls for her toward the end of the movie. A critical success at the box office, Easy A earned over $6.7 million on its opening day and amassed a total of $17 million in ticket sales by the end of its first weekend. The film later went on to garner Badgley another Teen Choice Award nomination for “Choice Movie Actor in a Romantic Comedy” in 2011. In it, he played as Sigurd Rossdaleーa former college student who writes essays for cash; in doing so however, he finds himself falling for one of his clients. Screened on February 26, 2016, The Paper Store also showcased the acting talents of Stef Dawson, Richard Kind, and Clifton Dunn. Well received upon its release, it went on to win a handful of awards in various Film Festivals across the country. 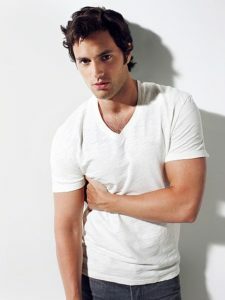 If you’d like to stay connected and up-to-date with the 30-year old actor from Baltimore, Maryland, you can do so by following Penn Badgley on social mediaー you can find him on Twitter or Instagram at @pennbadgley.